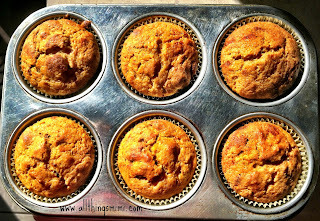 Somehow I have managed to amass 5 or 6 cans of pumpkin puree in my pantry. Perhaps I thought a global pumpkin shortage was threatening last year? I don't know. Anyway- now that it's fall, I'm well armed to venture into the world of pumpkin baked goods. 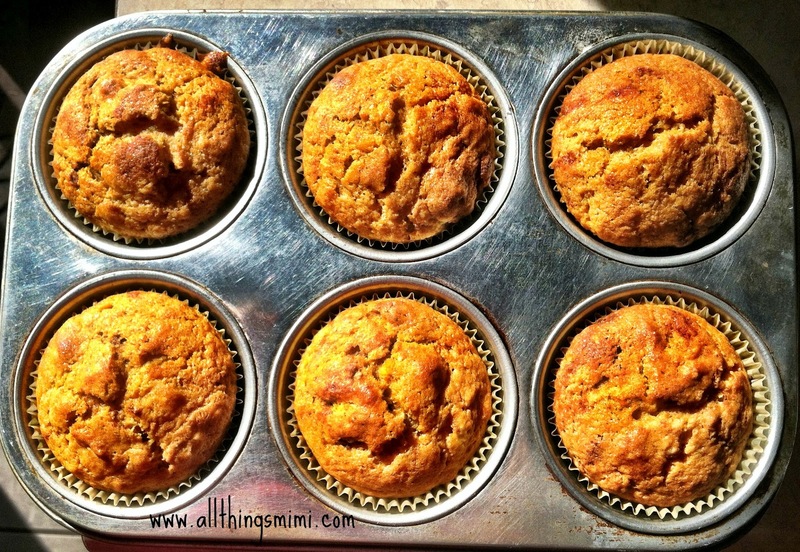 I decided to use a can of the pumpkin to make these pumpkin spice muffins. They just came out of the oven and they smell amazing! 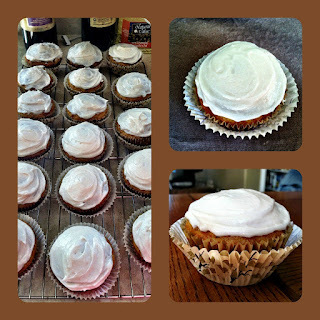 Up next- the cream cheese frosting- oh yeah! So now they're all frosted and happy. 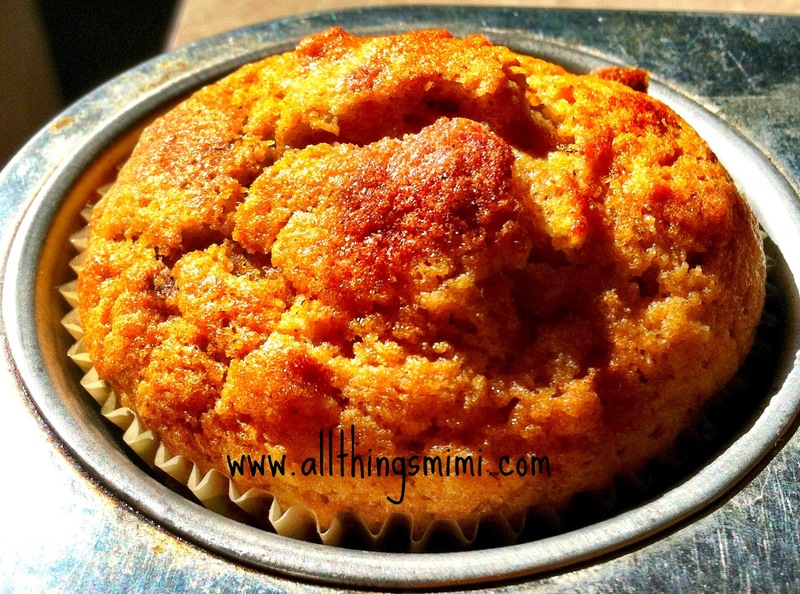 I think this recipe is a keeper; the muffins are really moist but not overly sweet. The true test will be whether or not my 8th graders will eat them. I will let you know!